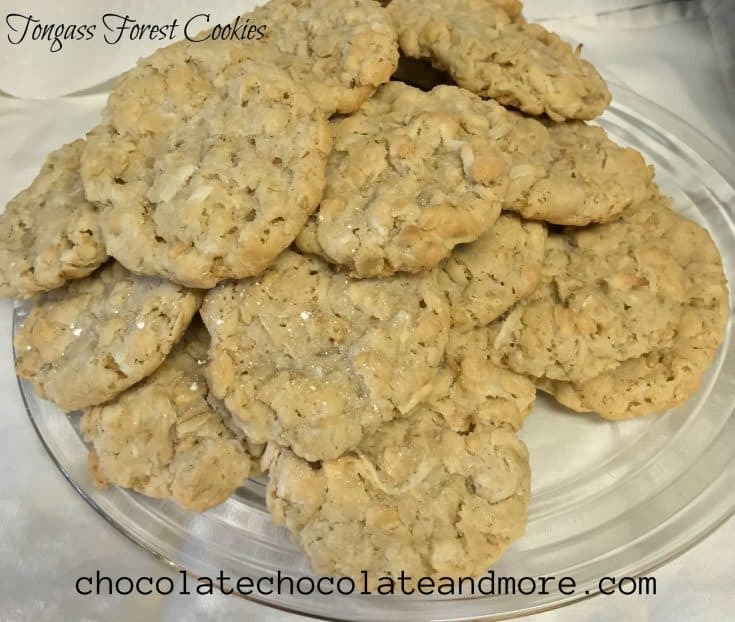 Tongass Forest Cookies - Chocolate Chocolate and More! Tongass Forest Cookies sound exotic but really aren’t — think Rice Krispie cookies with a twist. I recently spent two weeks on vacation in Alaska, which is where you will find the Tongass National Forest. The Tongass covers most of Southeast Alaska surrounding the famous Inside Passage, which is where my family and I took a cruise at the end of May. I was trying to come up with recipes from Alaska that I could share with you, but amazingly, most involve fish (including some of the dessert options!). My understanding is this recipe, which is about 40 years old, was given to a woman by a friend of hers who had (also) just vacationed in Alaska. I’m not sure what the official connection to the Tongass is, but I was willing to give it a try, and now I’m sharing with you! This recipe is really an oatmeal cookie recipe with rice krispies and coconut. It takes about 30 minutes total from start to serve: 10 minutes to mix together, and another 12 to bake — about 10 to cool and voila! The finished cookies are a nice combination of crunchy (thanks to the rice crispies) and chewy (thanks to the oats and coconut). 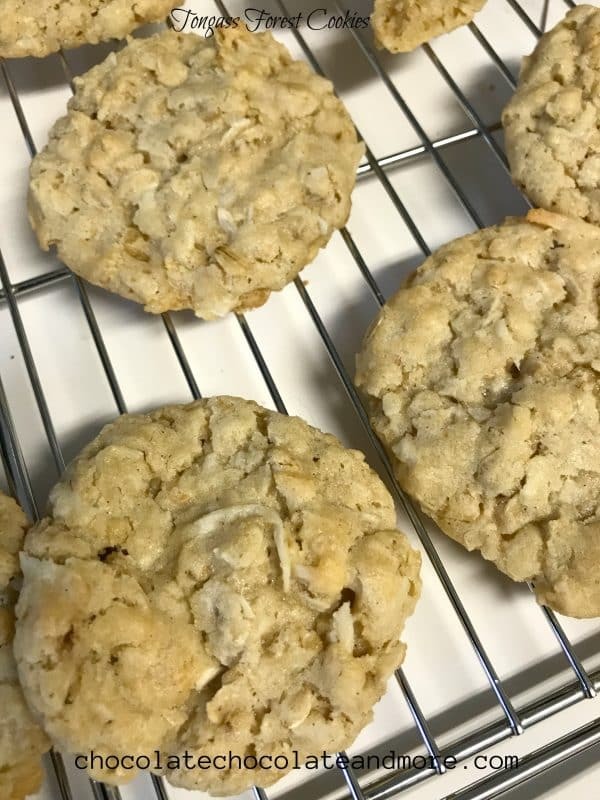 While you munch on these delicious cookies, you can read more about the Tongass National Forest by visiting their website: Tongass National Forest. 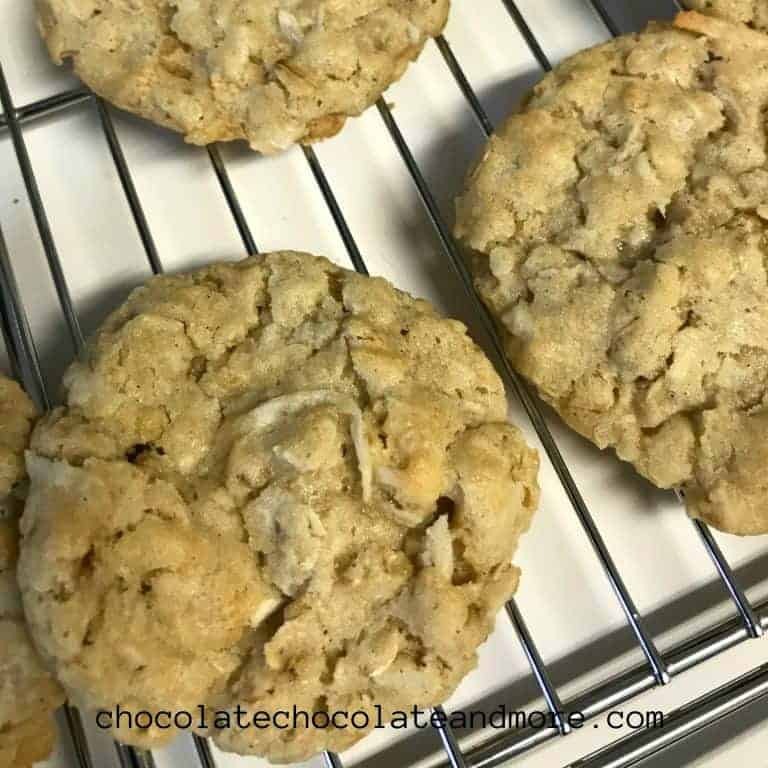 A delicious combination of rice krispies, oats, and coconut make this cookie from Alaska as memorable as the place it is from! In a medium bowl, sift together flour, salt, soda, and baking powder. Set aside. In a mixing bowl, combine shortening, brown sugar, and granulated sugar until creamy. Add the eggs and vanilla until thoroughly combined. Slowly add in the sifted dry goods until combined. 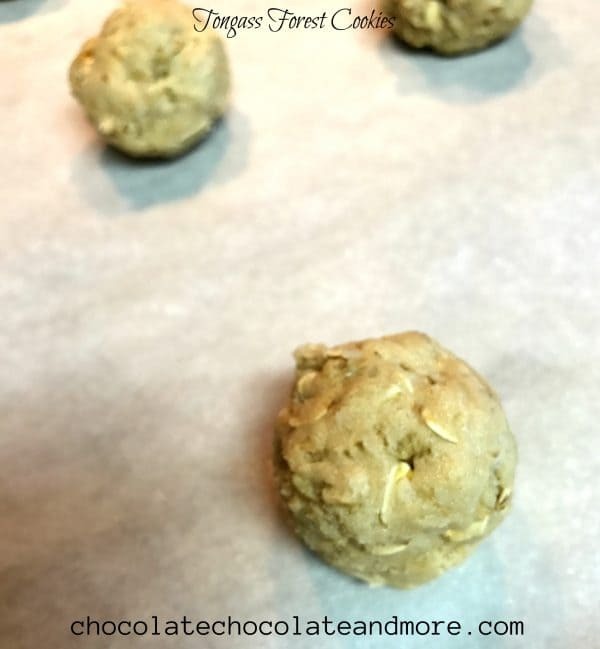 Roll dough into small balls (approximately ping-pong/golf ball sized for larger cookies) and place on greased cookie sheet. Bake for 12 minutes, remove from oven, and cool. These are awesome cookies. I’ve seen them go by many different names. At my house the recipe is called Ranger cookies (I’ve no idea ahy). We also use cinnamon chips instead of chocolate chips. They are delicious either way. I had never heard of them until I started hunting for a recipe with ties to Alaska (that didn’t involve fish oil of some kind! LOL). I’m glad I gave the recipe a try, because they are really good!